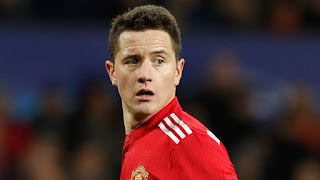 Manchester United midfielder Ander Herrera is among embroiled in a story that become headline news once again in Spain after the case was reopened for further investigation earlier this month. Now authorities believe all involved in the disputed game have a case to answer, with prosecutors suggesting there is strong evidence that Zaragoza paid €965,000 euros to Levante’s players to lose a match that ensured the victors retained their place in Spain’s top division. Vicente Iborra of Leicester, Atletico Madrid captain Gabi Fernandez are also caught up in the scandal and if found guilty and handed long bans, they will apply to all football and not just matches in Spain. Herrera has made it clear that he is innocent of any involvement in the match fixing scandal, after he issues this statement. “I have never had and will never have anything to do with manipulating match results,” Herrera said. If found guilty, those involved would not spend any time in prison as sentences of two years and below do not result in time behind bars in accordance with Spanish law. Yet the six-year bans from football would have a devastating effect on a number of high profile careers in a case that could rumble on for years with appeals inevitable if the 30 accused players are declared guilty.